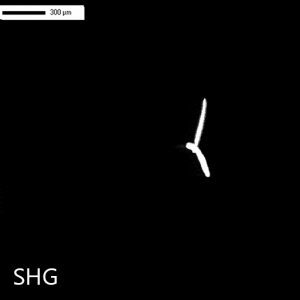 SONICC finds protein crystals that other technologies cannot. 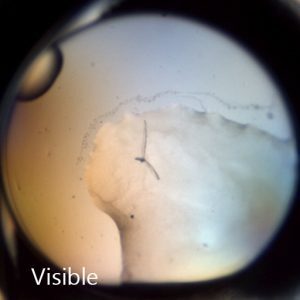 The ultimate imaging technology in visualizing protein crystals, Second Order Nonlinear Imaging of Chiral Crystals (SONICC) definitively finds crystals buried in precipitate or submicron crystals naked to the eye. 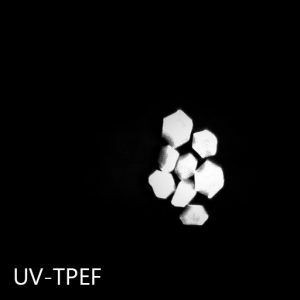 Two powerful technologies, Second Harmonic Generation (SHG) and Ultraviolet Two-Photon Excited Fluorescence (UV-TPEF) are combined together in a completely automated imager to quickly image your high throughput crystallization plates and positively identify protein crystals. Crystals appear white against a stark black background, helping you to identify crystals even in murky environments. 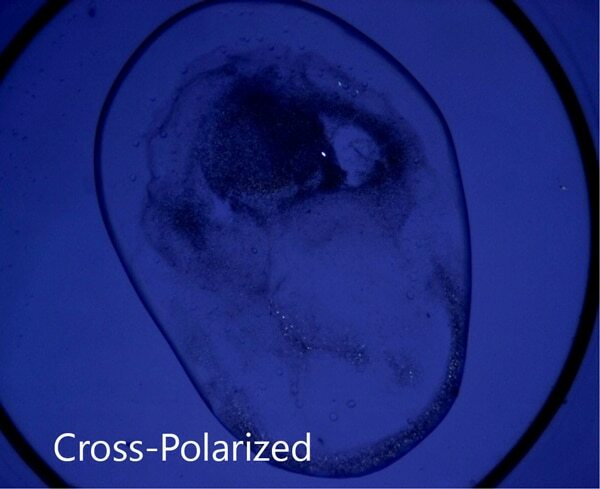 SONICC can detect extremely thin crystals, microcrystals <1 μm, and crystals obscured in birefringent LCP. Major pharmaceutical and academic research labs worldwide find SONICC to be extremely successful, cost effective, and efficient. 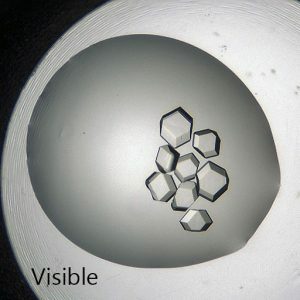 The unique imaging properties of SONICC allow crystal detection in almost any optical environment, including opaque and turbid environments. 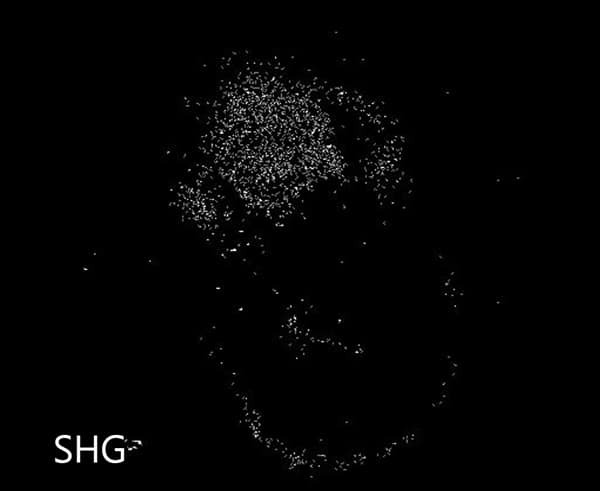 Only chiral crystals, such as proteins, produce a signal using second harmonic generation (SHG). 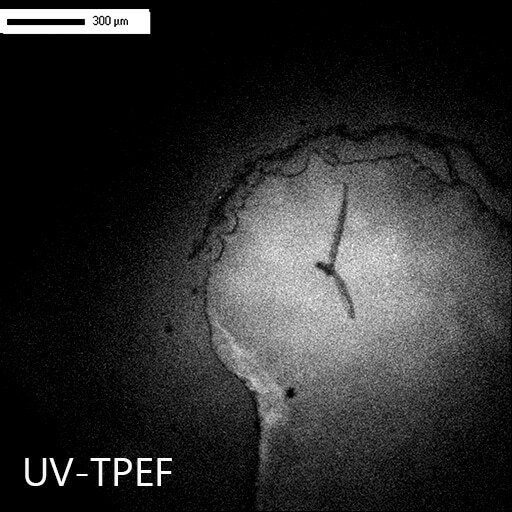 This imaging technology reveals very thin protein crystals or those buried under precipitant. 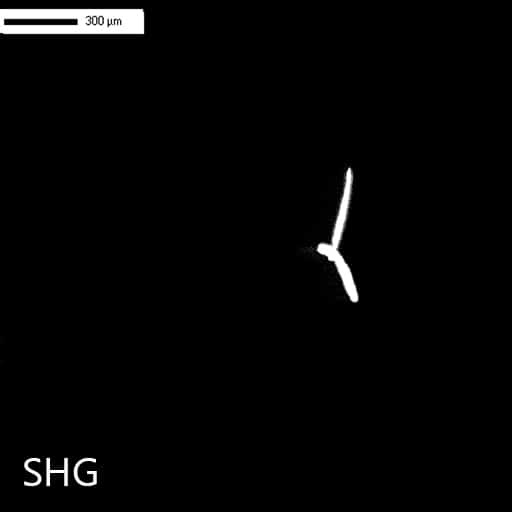 SONICC can detect nano-crystals with the use of high numerical aperture objectives. Small crystals that may be indistinguishable from precipitant can be clearly differentiated as shown in the image to the right. This positive hit indicates a condition for further optimization, which may have been missed without SONICC technology. The UV-TPEF (Ultraviolet Two-Photon Excited Fluorescence) mode is analogous to traditional UV fluorescence and creates images based on the fluorescence of UV excited amino acids such as tryptophan. UV-TPEF is a multiphoton imaging technique that uses longer wavelengths of excitation providing greater plate compatibility, less damage to your samples, and confocal imaging. 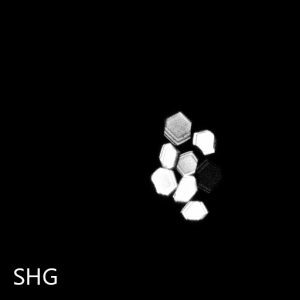 SONICC technology produces high contrast black and white images, making it easier to find hidden microcrystals. 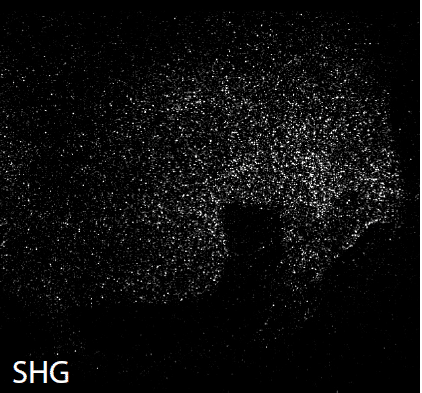 Below are 96-well plates imaged in visible light (left) and by SONICC in SHG mode (right). Each well-containing crystals is instantly apparent when imaged with SHG. 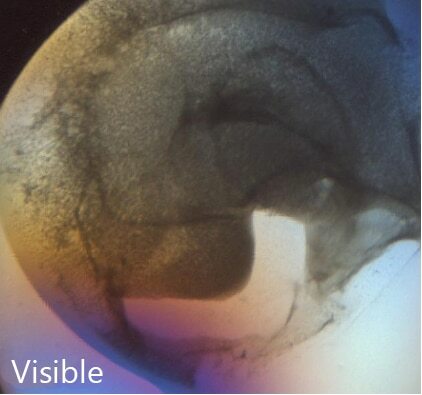 The extremely low detection limit of SONICC makes it the best imaging technology for LCP plates. 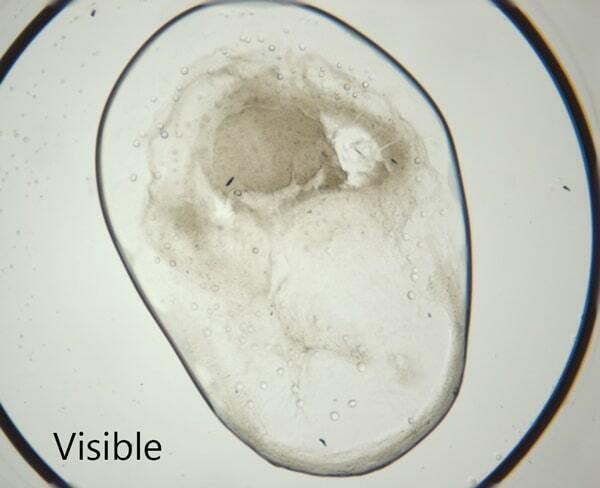 Small crystals, buried in turbid lipidic cubic phase can easily be visualized with SONICC. Drop location and autofocus are both used to quickly and accurately find the LCP drop. 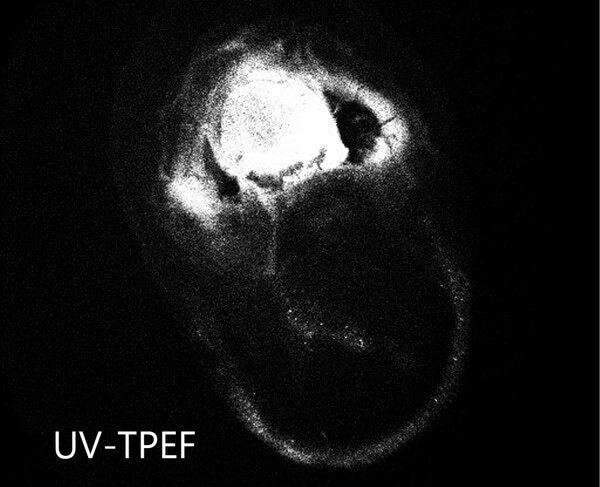 The accompanied visible imaging techniques of crossed-polarized imaging offer complementary information all with extremely fast imaging times. A benchtop model for imaging a single plate at a time. Best for lab's where throughput is not a concern. An integrated model that is built into a ROCK IMAGER 1000 which allows you to store and automatically image up to 940 plates. Two plates can be imaged at the same time - one with visible light and one with SONICC. This allows for over 200 96-well plates to be imaged in visible light and more than 40 plates in SONICC in just one day. 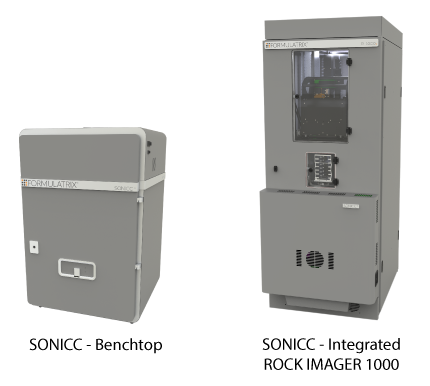 The SONICC benchtop system is designed to precisely monitor and regulate temperature throughout the enclosure. A network of sensors measures and records temperatures with 0.1°C resolution. An air recirculation system maintains an even temperature distribution. SONICC benchtop uses a Peltier heat exchanger to regulate temperature in the range from 5° C below ambient to 7° C above ambient to within +/-0.5° C. If SONICC is integrated into a RI1000, then a chiller option is available where the temperature can be regulated from 4° C to 19° C with ambient temperature from 16° C to 30° C.
Image quality is retained even with fans circulating, motors running and air flowing. Without our dedicated design towards minimizing vibration, image quality would be severely affected resulting in poor image quality despite good optics. Innovative mechanical design, advanced vibration damping materials, and special motor tuning ensure extremely low vibration to conserve image quality and minimize disturbance to the protein drops. 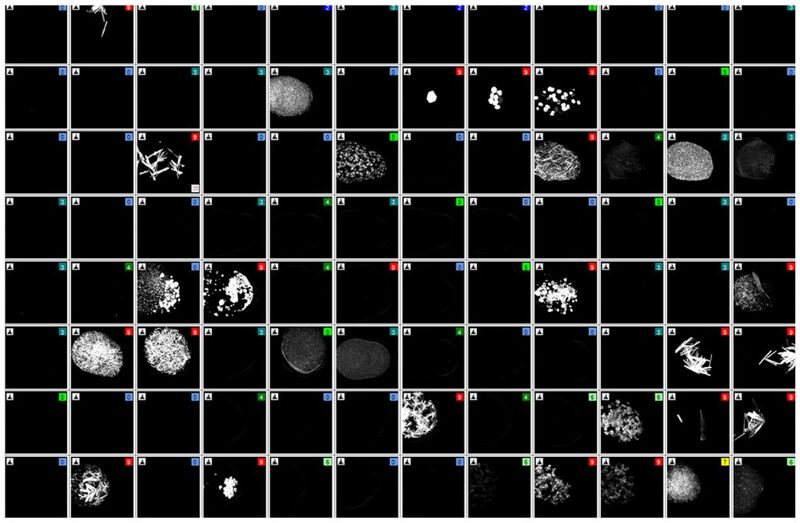 SONICC is driven by the ROCK IMAGER control software which provides a user-friendly way to view imaging schedules, configure plate types, and capture multiple images of each drop. 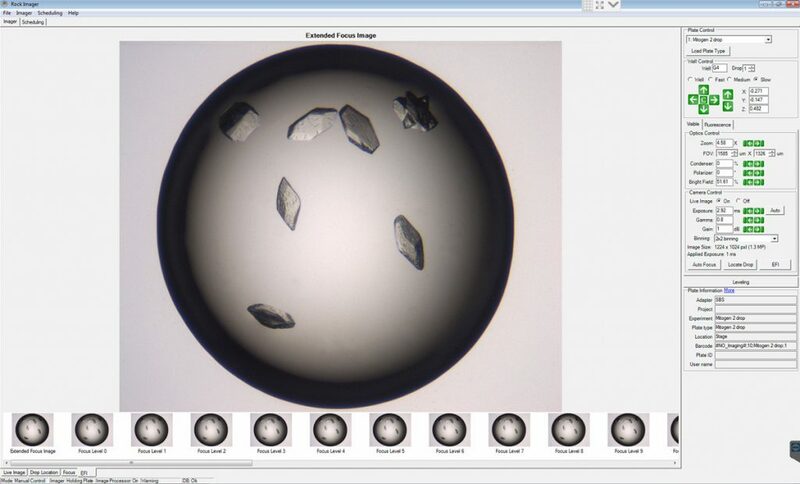 The control software creates image libraries of your drops that make viewing crystals simple. 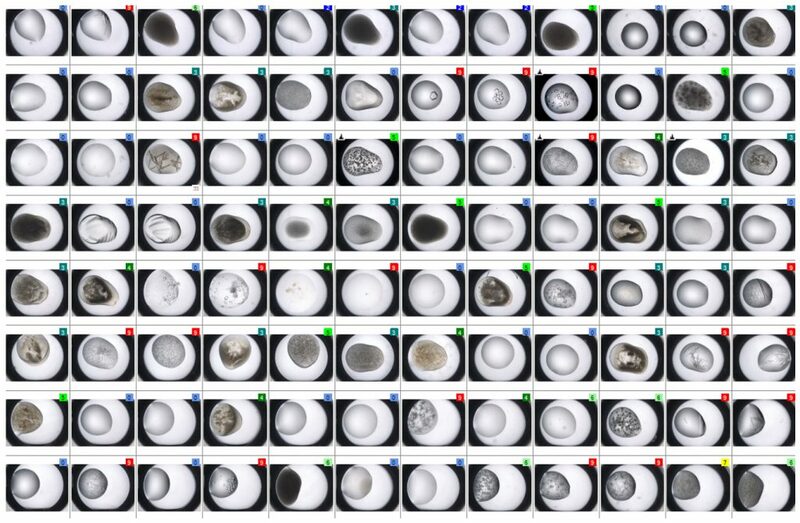 The software can automatically adjust focus and exposure for each image, compute an Extended Focus Image (EFI) of each drop for the highest optical resolution, and identify plates. Advanced controls allow you to adjust settings such as exposure, polarization, condenser aperture, and auto-focus. 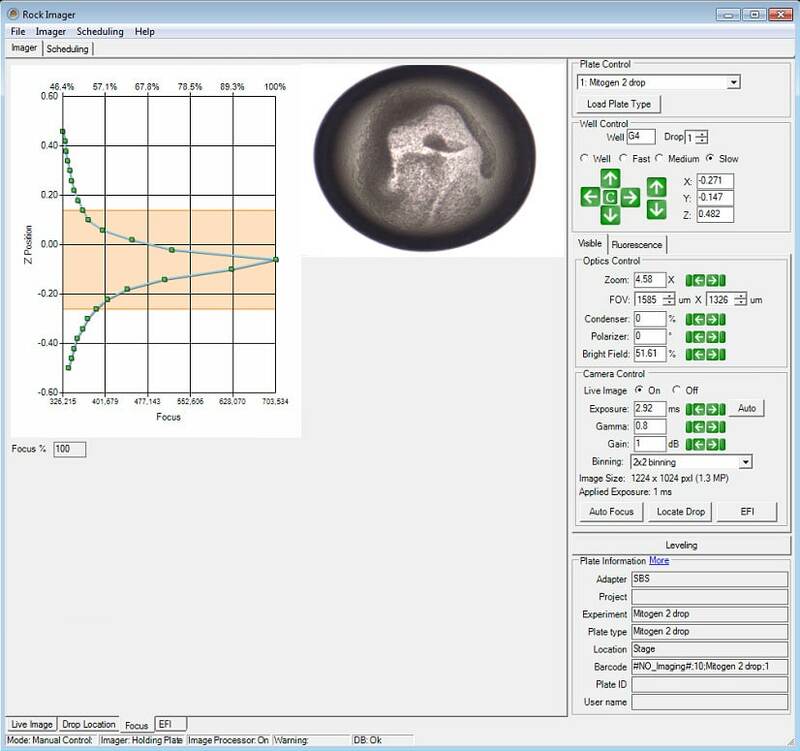 ROCK IMAGER's intuitive software provides on-screen controls for you to move plates in three dimensions and even adjust the speed of the movement. Watch live as you control the camera and adjust exposure length, resolution and other settings to get the best image possible. Tell us about your project or ask us a question. We're here to help! © 2019 Formulatrix. All Rights Reserved.